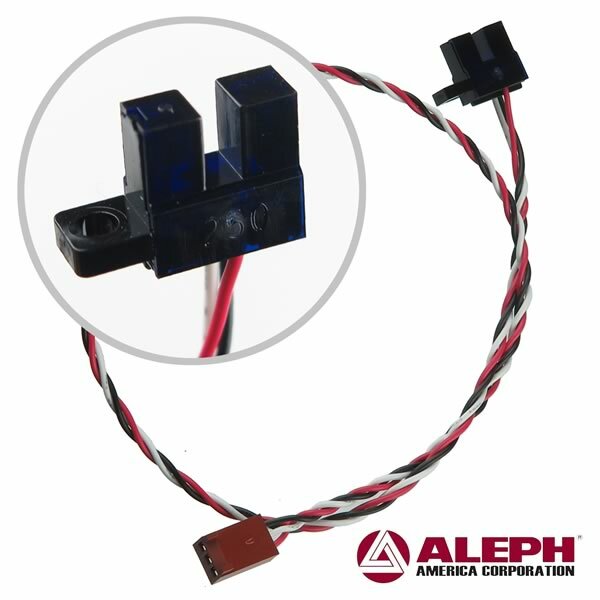 Aleph slot interrupter has a single mounting hole and consists of an IR LED and IR sensor on opposing sides of a slot. Size is about 0.73" wide x 0.245" deep x 0.5" tall. Has three 15.5" long wires (common ground) that terminate in a 3 position female header. Sold in a package of 50.